Click HERE to view a booklet on all Council on Aging services and programs. Click HERE for our Transportation Brochure. Click here for your brochure. 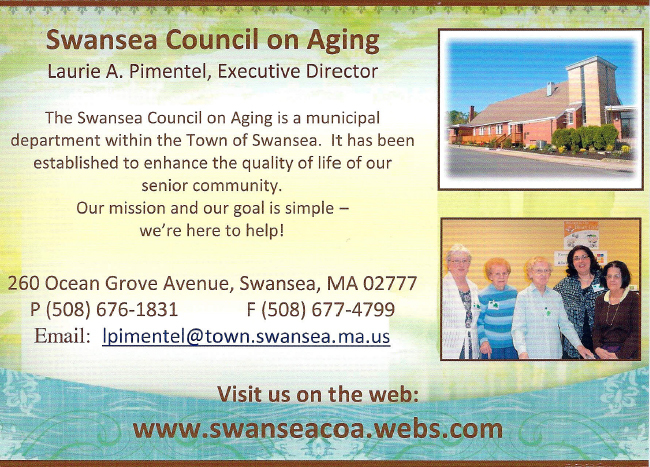 Click HERE for your Swansea Council on Aging Postcard, which includes a "Free Day" postcard to our Supportive Daycare Program.